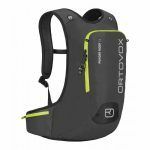 The Ortovox Cross Rider 20 Backpack is efficient, has a practical design and places great emphasis on low weight (860g), avalanche essentials plus extras. For such a small bag it exceeds expectations in features and functionality and is still made with the toughest materials. 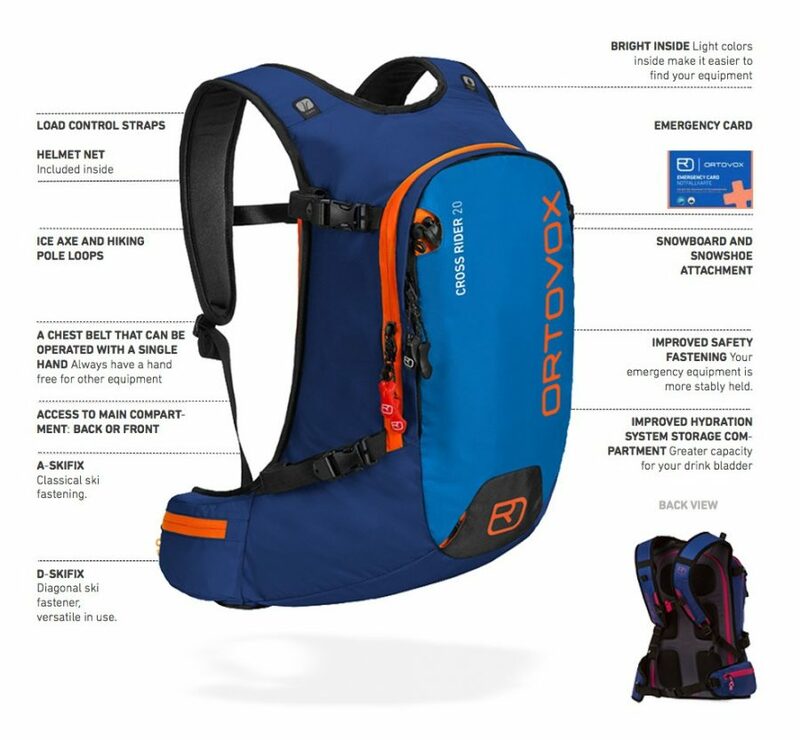 Immediate access to a Safety Compartment inside the backpack ensures emergency equipment is easy to both stores and reach. The compact size of the Cross Rider 20 is perfectly paired with the lightweight Terrawest Core Shovel and Ortovox 240 Light PFA Probe. 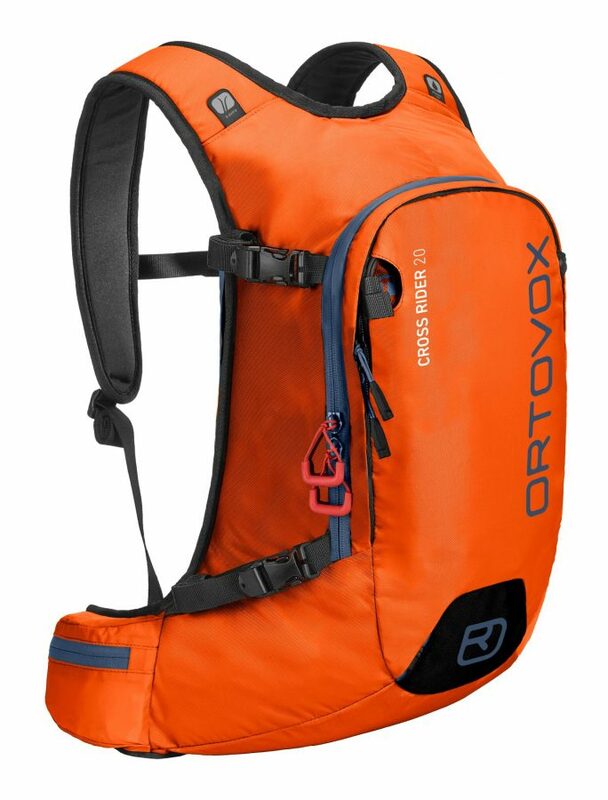 if you're looking for an Avalanche kit which includes this pack, a transceiver, shovel and probe then we highly recommend Ortovox Cross Rider 20 Package. Top Compartment offers space to store valuable smaller items without them getting crushed, whilst the Main Compartment Is Accessible From The Front And Back. 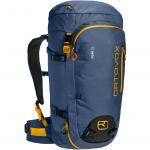 The 20 Litre pack offers room to store an extra layer, spare gloves, water and any small avy tools you have. Indicated Pockets for your shovel and probe, This allows quick access in case of an emergency. The Cross Rider 20 is equipped with a Hydration System Compartment. You can fit a Helmet Net to the front of your pack. 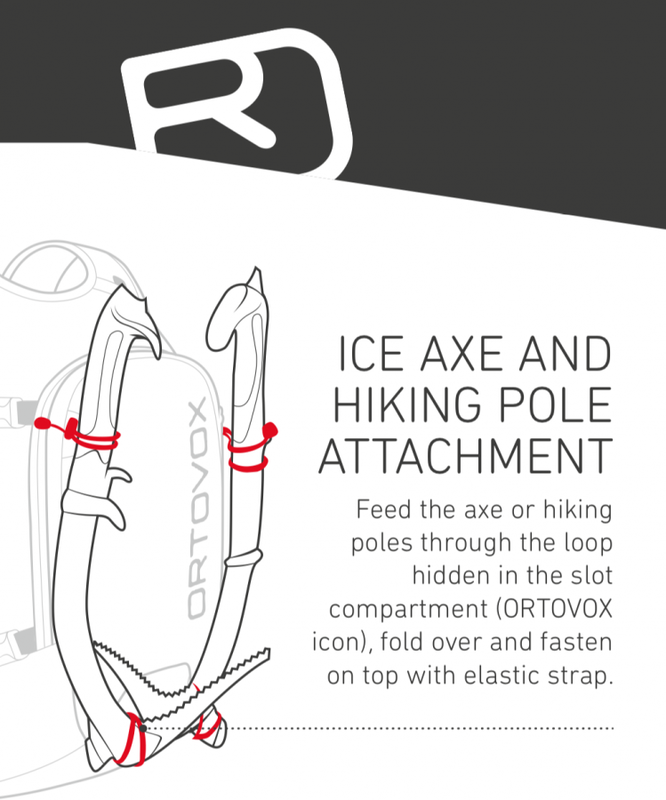 Pick Loops allow you to attach ice axe or hiking pole. The fastenings A-Skifix and D-Skifix allow you to strap your skis on either way and there is also the facility to attach a snowboard. So skinning up the slopes off-piste is always an option here. If you're looking for intuitive transceivers to go with this lightweight 20-litre backpack then we highly recommend the Ortovox Zoom Transceiver or Ortovox 3+ Transceiver. 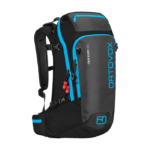 The Ortovox Cross Rider 20 is ideal for skiers or boarders who like to venture out on small day tours through the backcountry or sticking to days on the piste. When worn correctly, the Ergonomic Cut retains the freedom of upper body movement but remains secure if you fall. Combined with the Neoprene Hip Belt you are guaranteed to feel comfortable and safe. The Chest Belt and Stabiliser Straps makes the Cross Rider 20 hug your body rather than moving around during when skiing or snowboarding. 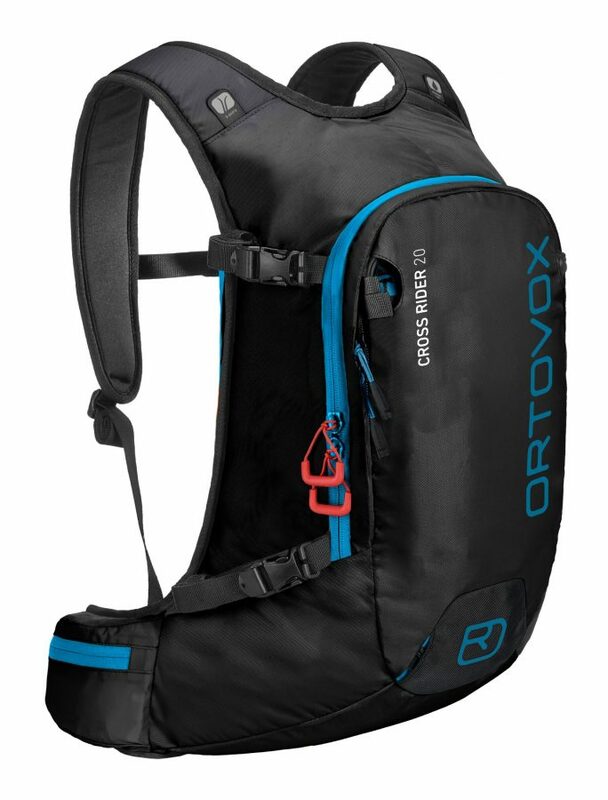 For similar Ortovox backpacks with a larger volume, we recommend the Ortovox Freerider 24 or Freerider 26. Safety Compartment: Access to the compartment is marked with the red zipper pullers. 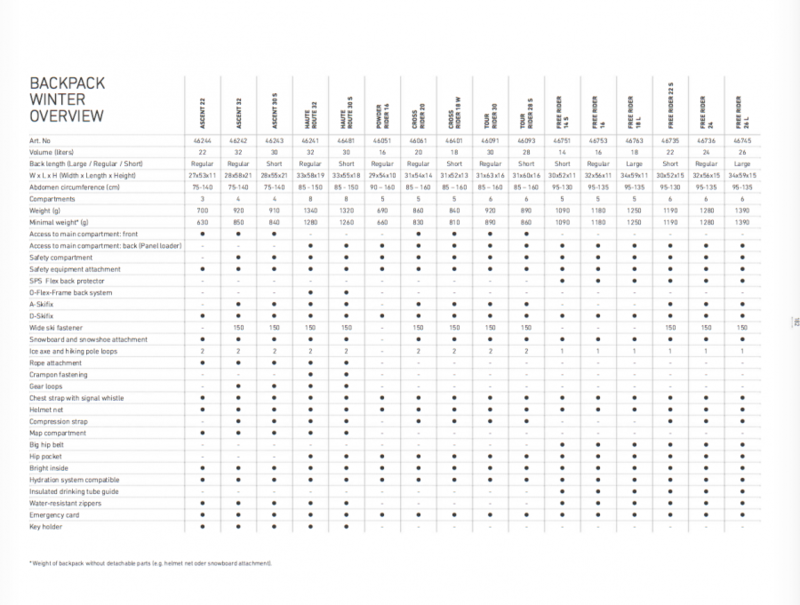 Probe and Shaft receiver are marked with icons. 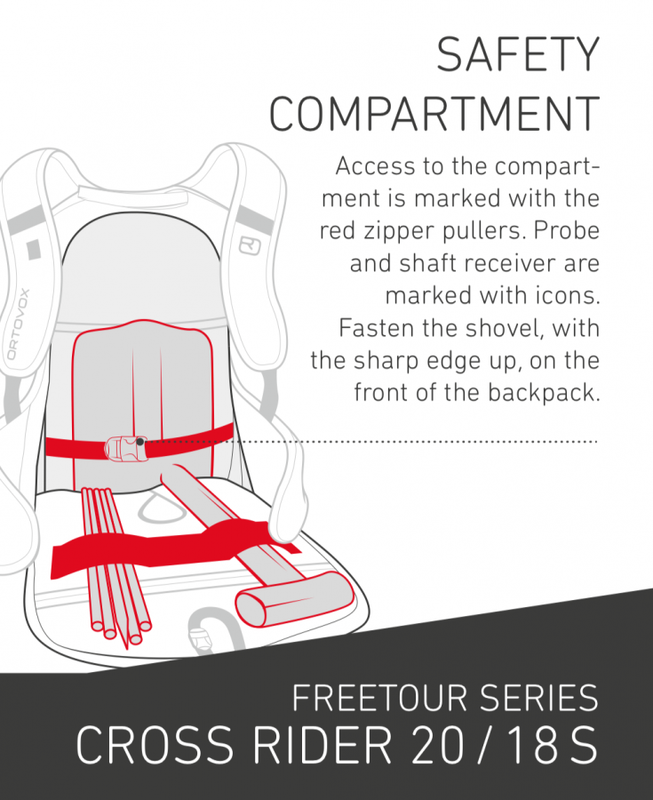 Fasten the shovel with the sharp edge up, on the front of the backpack. Hip Pocket: Hip Pocket allows you to store small accessories such as mobile phones, keys. Helmet Net: The helmet net can be found in the foremost compartment. Hook the helmet net hooks onto the small loops near the ice axe fixation and on the slot compartment, these are also indicated by small icons. 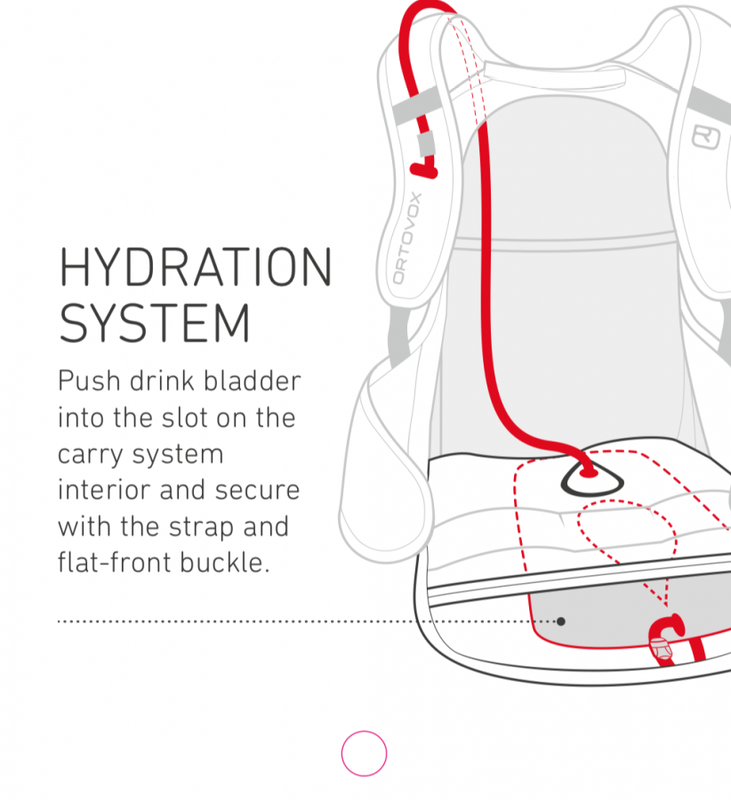 Hydration system compatible: Push drink bladder of any model into the slot on the carry system interior and secure with strap and flat-front buckle. Access to the main compartment (Front): Quick access to emergency equipment through the front panel. Access to main compartment (Back Panel Loader): Quick access to emergency equipment / Accessories through the Back panel Loader. Safety Equipment attachment: Shovel and probes can be attached to the front of your backpack for quicker access, this will leave more room for spare layers, accessories. 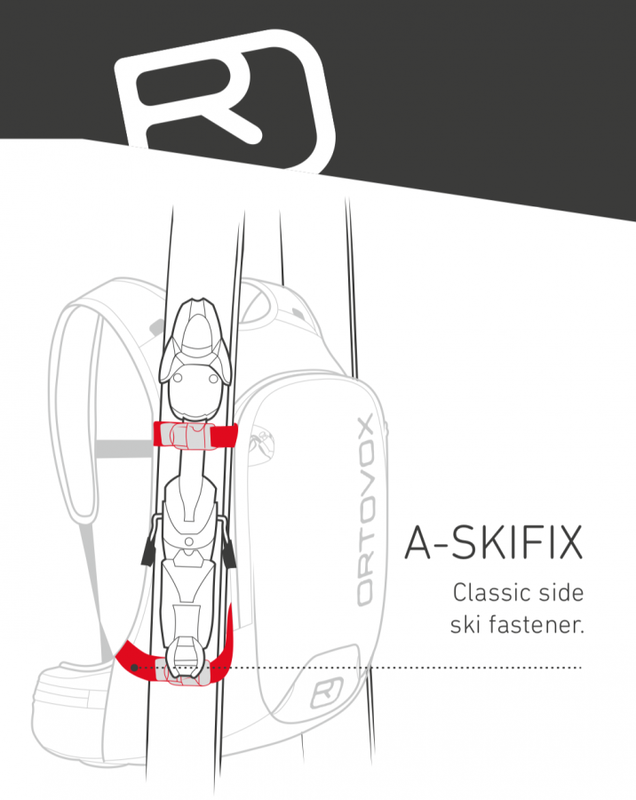 A-Skifix: Classic Side Ski Fastener using the compression straps. 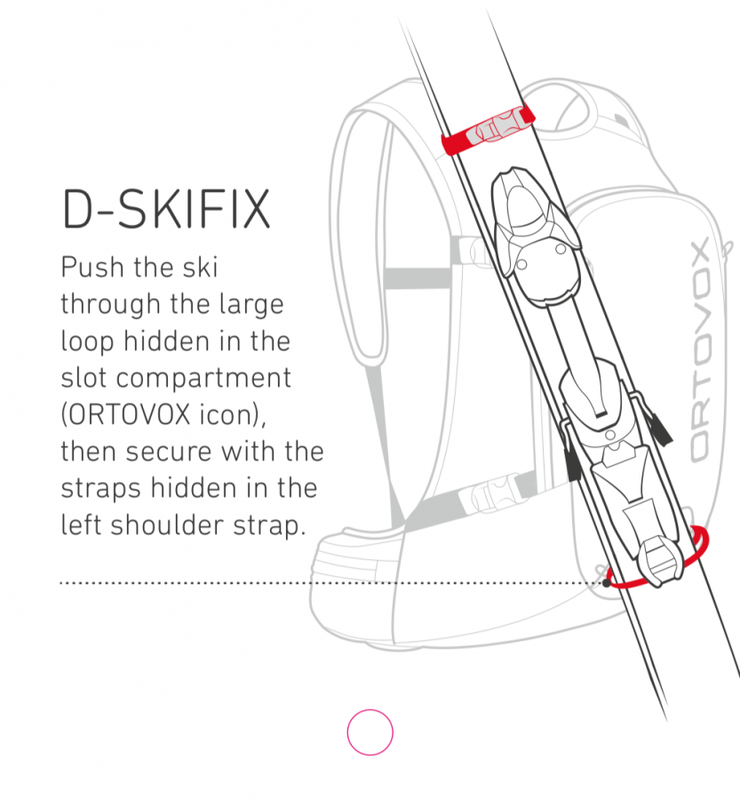 D-Skifix: Push the ski through the large loop hidden in the slot compartment, this is indicated with a small icon. you can then secure the skips with the straps hidden in the left shoulder strap. 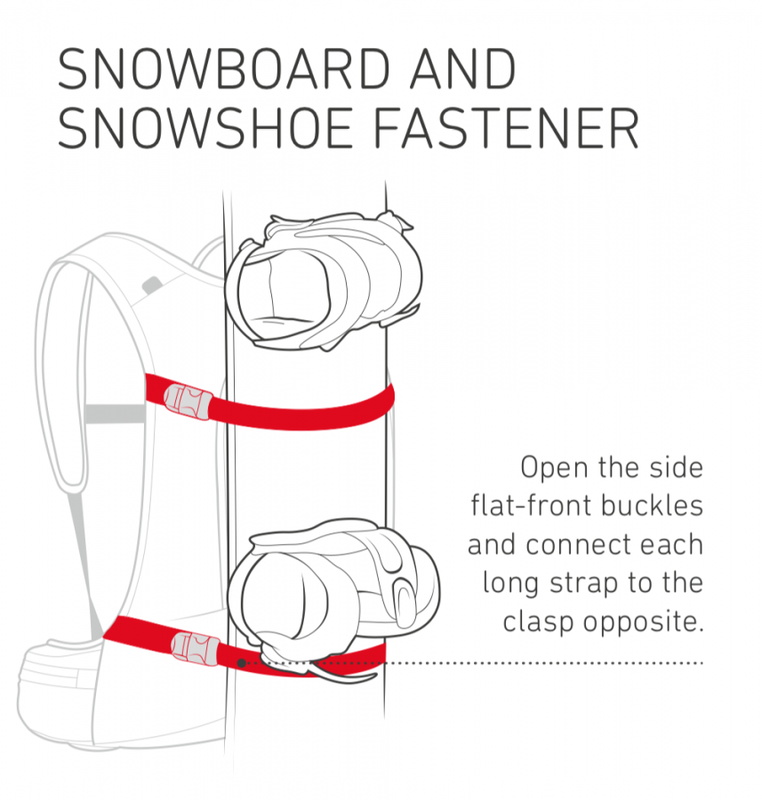 Snowboard and Snowshoe Attachment: Open the side flat-front buckles and connect each long strap to the clasp opposite. 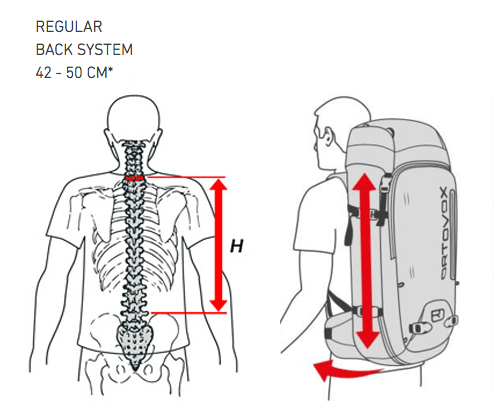 Compression Straps: Simple backpack compression with little content. Also Serves as side ski Fastener. 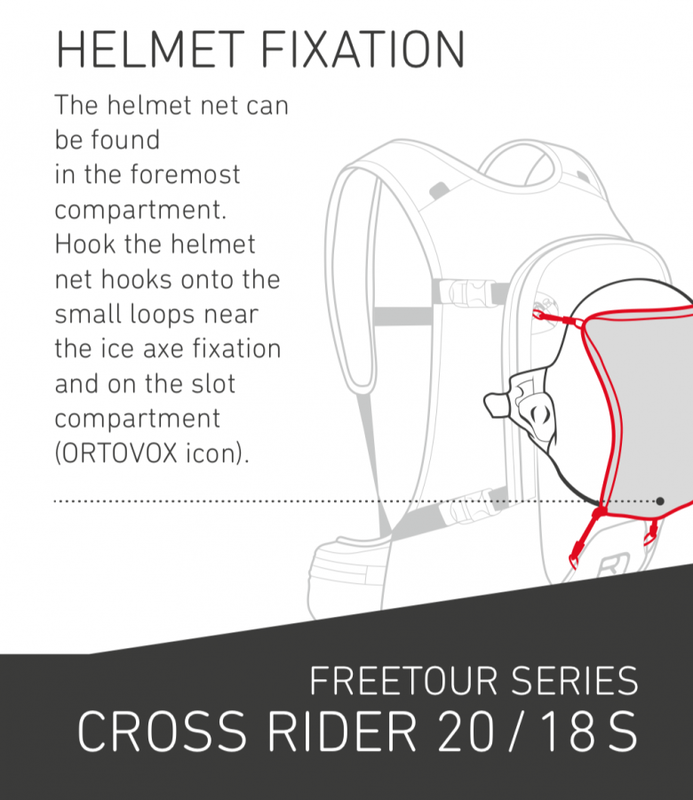 I have used my Cross Rider 20 for the last 2 seasons and it is a great little backpack with enough room for all your essential avalanche kit, hydration pack, extra layers and snacks etc. I am hovering around 6ft i height and find the pack very comfortable to wear with the straps properly adjusted for my height. Overall a great backpack which I will be using again this season a many more to come. Light, strong and comfortable to wear. 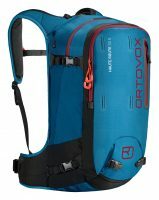 Great day pack for on or off piste and backcountry day trips.